Self Funding - nearly half the respondents were not using any type of external money. This is higher than we have seen in some of our historic surveys where high percentages have used bank overdraft. 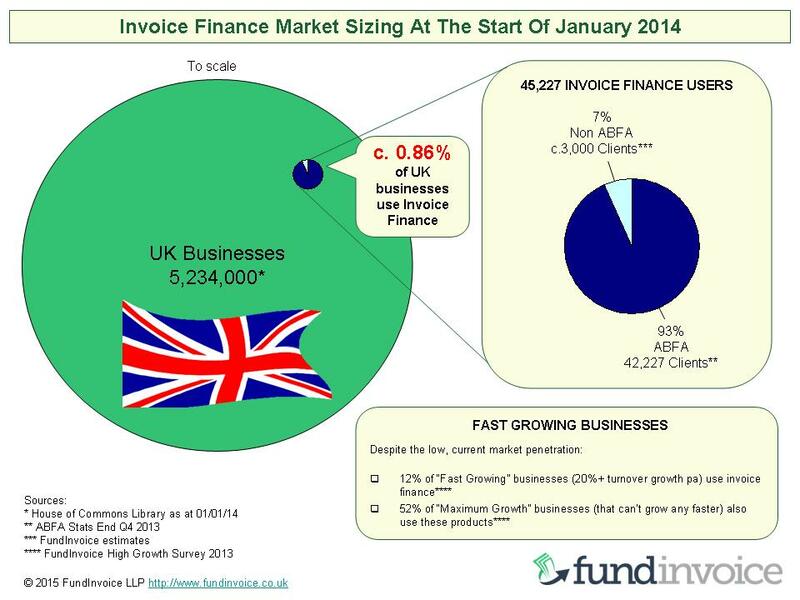 Use of Invoice Finance - the number using factoring and invoice discounting is some 20 times higher than our estimates of the national average, demonstrating a concentration of receivables finance users within this sector. Family Money - 5% had used family money, we had expected this to be higher as in a previous survey, 19.7% of fast growing companies were using family funds. Crowdfunding - did not appear in our results. We were surprised as we had expected to identify some users of this type of funding.